In honor of Bob Marley, the famous reggae singer and songwriter, his family will be launching a natural skin care line with marijuana being the main ingredient. He is remembered as the most talented pop culture singer of all time, and he is still adding to that resume. 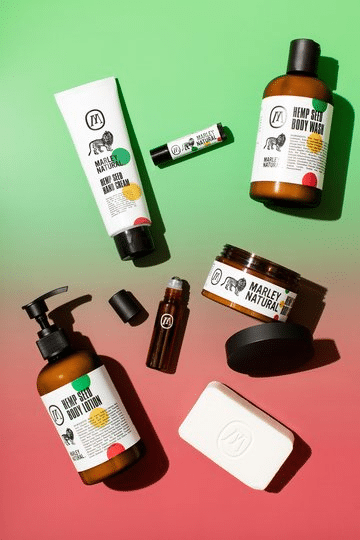 The skin care collection, “Marley Natural” was launched in Los Angeles on Feb. 6. It was launched in Los Angeles because marijuana is recreationally legal in California. The skin care line will later be sold in other states such as Washington and Oregon. States where Marijuana is only legalized for medical purposes may not see the line anytime soon. Maybe his fans could move out to California to purchase this product. Representing Marley’s Jamaican roots, the bottles are nicely packaged with the colors yellow, green, and red. The collection includes shampoos, lotions, and soaps. According to Vogue, “The derivative of Marley’s beloved cannabis has intensive hydrating qualities that will change the texture of your skin.” The products are infused with lemongrass, coconut oil, botanical oils, and hemp. According to Business Wire, the products were, “… designed with deep respect for Bob Marley’s legacy and belief in the positive potential of the herb to heal and inspire us.” Cedella Marley, his daughter spoke up and said, “We are thrilled to be sharing Marley Natural products with the world just in time for his 71st birthday.” We can expect the collection to celebrate his Jamaican roots and possess the sensational smell of cannabis. Go online today at www.MarleyNaturalShop.com to shop for his very own skin care products, accessories, and more!